Kayaking in the Mediterranean’s turquoise blue waters of the Kekova region. Here the ancient Lycians and later the Romans built a whole city on the main island that extends like a breakwater in front of the villages of Kale (Simena) and Ucagiz. Visit the Lycian rockgraves and tombs, the half sunken Roman baths, the old port, the Byzantine church and the Lycian-Roman houses! 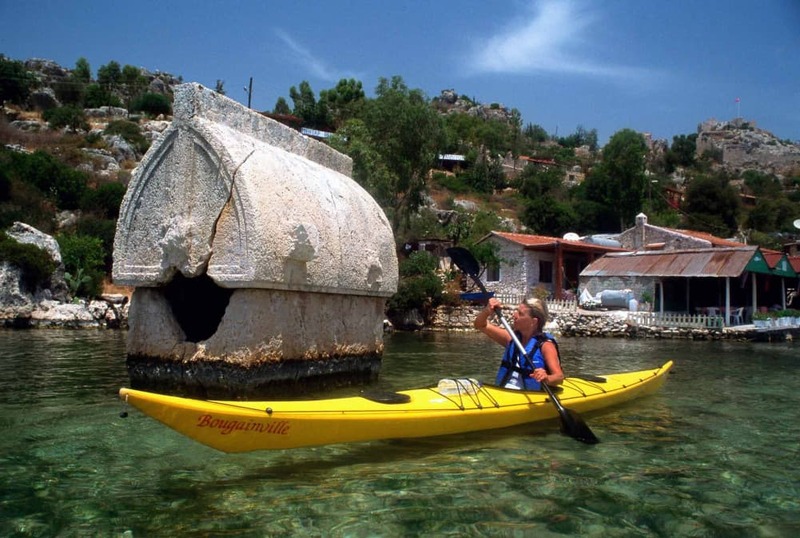 Our trip starts in the charming liftle village of Kas where we get into a minibus to the sea kayak base in Ucagiz. After an introduction to basic kayaking we start our discovery of intruiging ruins. We observe shy rock crabs, paddle by the sunken city, walk up to the Byzantine-Ottoman Castle on Simena and have the time of our lives!